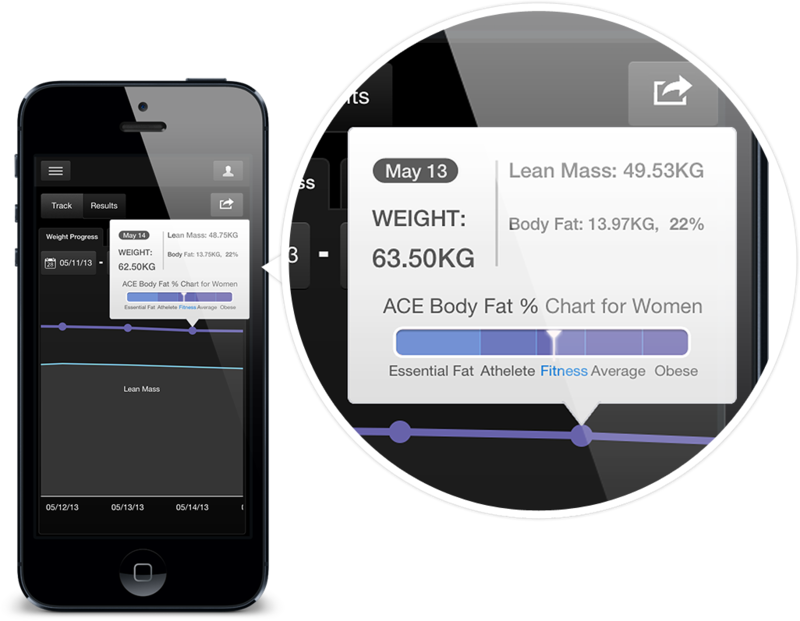 iMuscle 2 is an award winning Health & Fitness app that has everything you need to plan and track your fitness program. Use our anatomically correct model to identify a muscle, view a selection of exercise results, add to a workout and get moving! You can then track your workout progress, share your achievements and do it all over again for any of the 152 muscles mapped with any of the 600 associated exercises. 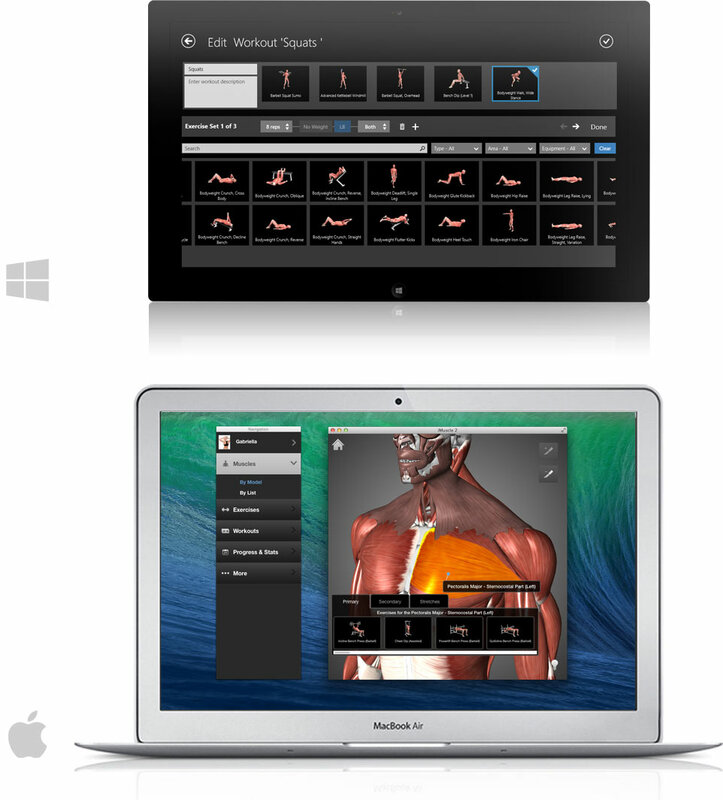 iMuscle 2 was designed with multiple users in mind, making it ideal for fitness instructors and physiotherapists. Our anatomically correct 3D model with the musculature exposed shows superficial and many deep muscles. It’s a excellent tool for learning where muscles are located and their relationship to each other. Rotate the body and zoom into a particular area using our newly developed graphics engine. Use the scalpel tool to reveal deeper muscles. 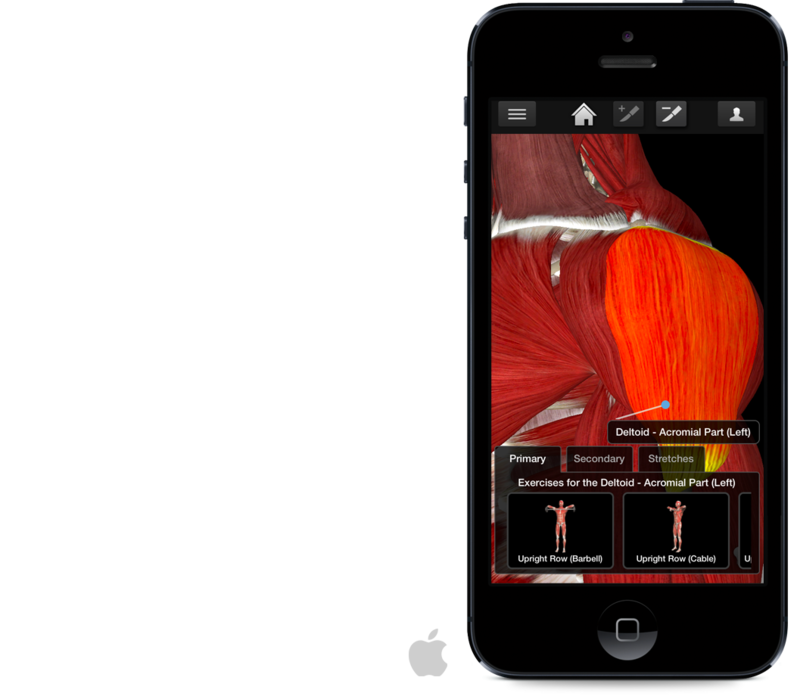 Find exercises by tapping a muscle on our 3D model or by searching our exercise database. Convenient filters help identify exercises quickly based on type, body area worked or equipment used. There’s no guess work around how to perform exercises with iMuscle 2. Each exercise contains a detailed animation to assist you, as well as written instructions. You can even view animations full screen while you’re working out! Additionally, Primary and Secondary muscles are identified and exercises can be added to workouts with the tap of a button. For a complete list of our exercise database, click here. If you can’t find what you’re looking for, create a custom exercise. Custom exercises are fully integrated into the app’s database and contribute to your Progress & Stats. 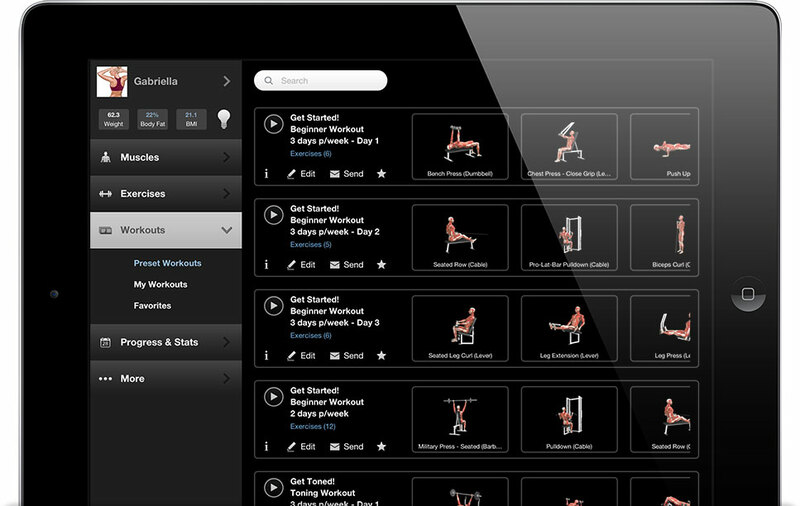 Our interface makes it simple to create, play, organize and edit workouts. Drag & drop exercises into a workout panel and you’re prompted to enter set, rep and weight details. 50 Preset Workouts allow you to get started right away. Track your progress and stay motivated with our improved performance tracking tools. Use the Body Tracker to see where you’ve gained or lost inches. Workout Progress shows you statistics on strength, endurance and calories burned for an entire workout, as well as individual exercises. Available on macOS and iOS Using multiple devices? No problem. Easily transfer user data and workout progress using our integrated iCloud support. Also, send your favorite workout to a friend via email.